The island of Maui has some of the most diverse scenery and attractions in the world. It's also home to the most scenic road in all of Hawaii- the Hana Highway. This world-famous road is packed full of stops as you make your way to Hana town. Beyond Hana, there is the gorgeous Oheo Gulch (also known as the 7 Sacred Pools). Upcountry, Haleakala awaits you as one of the largest dormant volcanoes in the world. In West Maui, there is the mysterious Iao Valley nestled among the rugged West Maui Mountains. A tour around Maui can take you from the chilly summit of Haleakala at 10,023 ft. to the warm tropical waters of Molokini island off the South Shore of Maui. 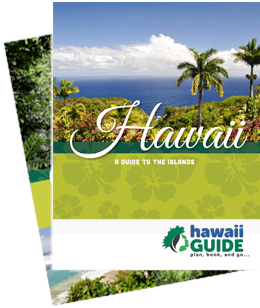 The list below covers all the best Maui sights, categorized by region, to help you navigate the island geographically. Taking a tour on Maui means taking a tour of heaven itself. Lace up your boots and hike some of the best hiking trails in Hawaii. Sit back and relax and tour the Road to Hana in style. Dive into pristine waters and snorkel and explore an underwater paradise. Or hop from island to island and see everything from volcanoes to Pearl Harbor in one glorious day. No matter what you’re up for, the Valley Isle will surely impress you. Check out our handpicked Maui Tours and book your adventure today. A quick review of all the many incredible sights and attractions on Maui can help you quickly understand why the Road to Hana is such a big deal on the island. The Hana Highway's 50+ miles of scenic coastline contains more noteworthy attractions than almost the rest of the island combined. Below you'll find some of our favorite attractions along this drive, including a link to our main Road to Hana article - just in case you're still not sure what all the fuss is about. The journey into Upcountry Maui is incredibly unique and offers some great scenery and overlooks. Whether you make the drive with the intention of continuing to the top of Haleakala or just plan to explore the many gardens (and vineyard) on the slopes of Maui's largest volcano, you're sure to find plenty of things to see and do here. West and Central Maui are the population centers of Maui. Here you'll find the towns of Kahului (where the main airport is located), Lahaina, and Kaanapali. There are several great sights along the coastal drive located in West Maui, and the Iao Valley in Central Maui is a must see. Most of south Maui's sights, including attractions found near the towns of Kihei and Wailea, include a variety of beaches, bays, and other coastal attractions. You may also want to check out our Maui Beaches section for more great stops within this part of Maui.